Since our beginning in the 1950s, our mission has been to preserve the heritage of EVOO through small-scale, artisanal production on family farms. Today, we are an organization of multiple cooperatives all based on the same principle. With thousands of members, we are a source of momentum and strength for our community and the environment. The impact of our leadership is strong—a large portion of the Italian countryside is thriving from the care we take of the land. In 2006, we formed Certified Origins to meet the challenges faced by small producers within the industry at large. Motivated by our commitment to authenticity and the livelihood of our members, the protocols we developed to ensure EVOO integrity were unprecedented. Technology we saw as an essential tool in sustaining our traditional practices. It is an important opportunity for us to share who we are, so people know us as individuals and can learn about the olive oil that is our life’s work. In the fall of 2013, we introduced the Bellucci brand to US and International markets with innovative traceability technology in hand. 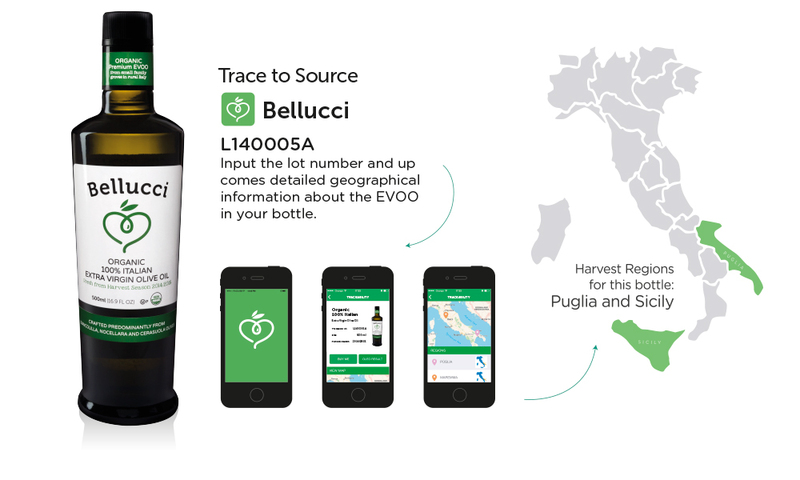 Our app empowers consumers to trace the journey of each bottle back to its origin. Users access information about the harvest and the locations of the contributing communities and their mills. They also receive a professional taste analysis of oil from the same batch. In learning about their bottle’s unique character based on its fruitiness, pepperiness and bitterness, consumers build their own skills in assessing authentic EVOO flavor. Sisters Christina and Margerita Barco are founding members of Certified Origins. Their family has grown olives for EVOO since 1930 in Il Gelsomino, Tuscany, and they press their olives at OLMA’s mill nearby. They operate a bed and breakfast on their family property and welcome visitors to their grove. As we work to preserve the path for time-honored methods of olive cultivation and EVOO production, we’re setting new industry standards for transparency and documentation. We’re providing consumers with EVOO they can fundamentally appreciate and trust and we’re offering choices that serve the greater environmental good with the purpose of shepherding the land into the future with its spirit and integrity intact. 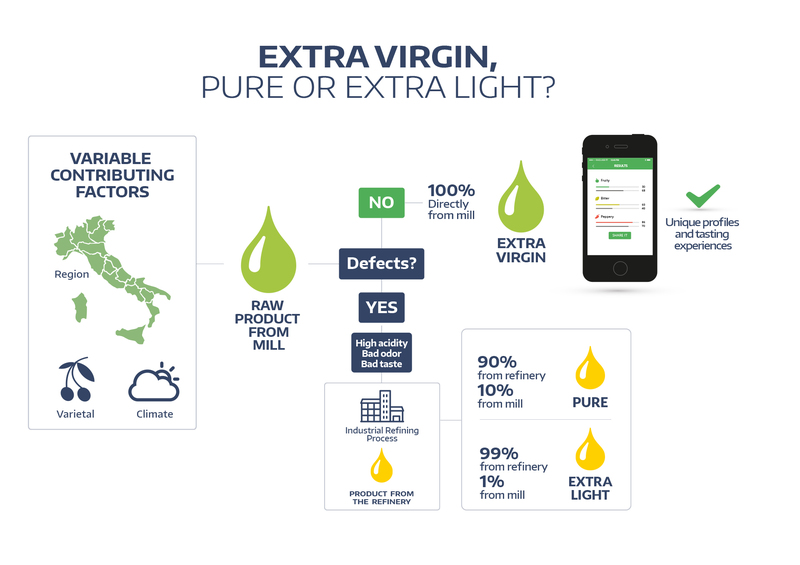 We are also dedicated to informing the broader public about distinctions in grades and types of olive oil, so EVOO can be better understood and its traditions widely known. Consumers have long been confused about the different types of olive oil available on store shelves, even though the differences between extra virgin, light and pure are marked. EVOO is the only kind of olive oil that does not undergo a refining process. It has freshness, aroma, flavor, and health-giving properties that other olive oils do not. A true EVOO is always an expression of its roots. Chef Ashley Rodriguez plays with both sweet and savory, for a tickle of the taste buds and a hug of the heart. The romance of her modern Italian cuisine is fun for everyday and sets the stage for a great date night in. Select from which country you wish to visit us. © Candor AGS, 2019 - All rights reserved.